Motorola recently had Futura (aka Futura 2000), a pioneer graffiti artist, create 30 limited edition Moto X Pure Edition devices. Inside of an art studio, Futura personally sprayed 30 Moto X Pure phones, which Motorola later sold. To hype the project, Motorola created a brief video, which details the process of the phones being sprayed. 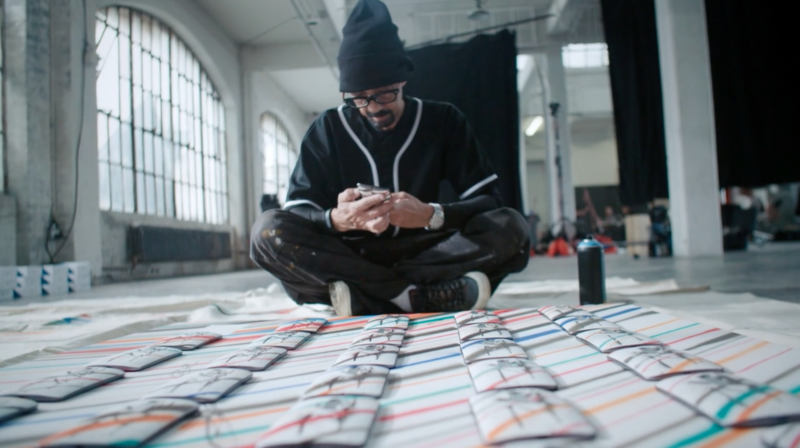 During the length of the video, Futura talks about the history of his career, as well as the positives of Motorola allowing for the personal customization of devices. While he does not specifically mention Moto Maker, we get the sense that is what he was referring to. Whether this video represents Moto’s past efforts in creating a better personalization process, or we can expect even more extravagant attempts at phone customization, the phones that Futura sprays look pretty incredible. While this is very cool, it’s a bummer Motorola never gave anyone the heads-up that they would be selling these devices. At least give me a chance, Moto.